Best Casino Games for Android features the most popular Casino and Card Games those can be played on any Android Smart Phones and Android Tablets. Fortunately or unfortunately, none of these games listed in best Casino Games for Android needs real money. We gave given the importance to the following parameters while selecting the games listed in Best Casino Games for Android. You can type or copy any name of the games listed in this list of Best Casino Games for Android?list and search it in Android Market Place using the Search function. Live Holdem Poker Pro : Join the ocial poker on the Android Market and Play Live Texas Holdem Poker with millions of real players from Facebook and Google Android. Zynga Poker : Play live against other Zynga Poker players on Facebook, iPhone, and Android. Poker KinG Pro-Texas Holdem : Do you want to play with real people whenever and wherever you want? The only thing you need is your mobile phone and internet connection! 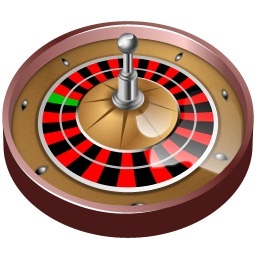 Roulette 2k10 : Awesome Roulette simulation with fast gameplay, highscores and many features.Roulette 2k10 brings real casino atmosphere to your android device. There is a free version of this game named Roulette 2k10 Lite. Slots Royale : Virtually Experience The Casino with 3-packed SLOTS ROYALE and Wheel of Fortune. Slot Machine : It was quite popular, but user reviews are going against, lately. Pocket Bingo Free : Bingo on the Go! Classic UK Bingo Now on Android. Roulette Royale : Virtually Experience Casino with ROULETTE ROYALE and the best virtual bet area. Live BlackJack : Play online Blackjack and challenge your Facebook friend. We hope, you have found some games listed in this Best Casino Games for Android list to enjoy your time. Cite this article as: Abhishek Ghosh, "Best Casino Games for Android," in The Customize Windows, January 11, 2012, April 20, 2019, https://thecustomizewindows.com/2012/01/best-casino-games-for-android/.